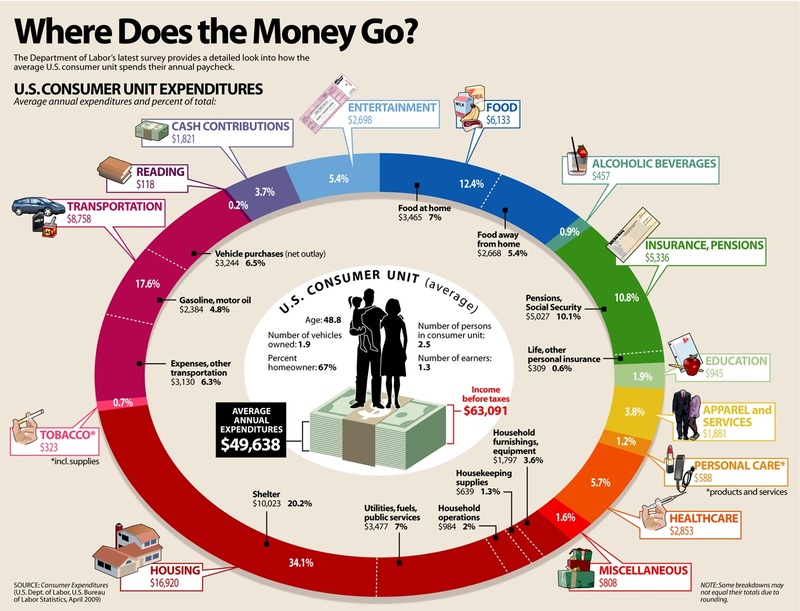 …then take a look at this telling graph from Visual Economics. The data is derived from the 2006 U.S. Bureau of Labor Statistics — so it shows pre-recession spending. Still, notice how housing ($16,920) and transportation: ($8,758) make up more than 50 percent of the average American’s $49,638 in annual expenses. One way to cut expenses is to stop depriving yourself of the occasional ice cream or coffee and instead lower your housing and transportation costs. Of course, in cities like New York, that’s often difficult.